If you’re headed for surgery, you expect to see your doctor in a surgical mask. Why? Because masks, much like HVAC air filters, help to keep the air purer and cleaner. 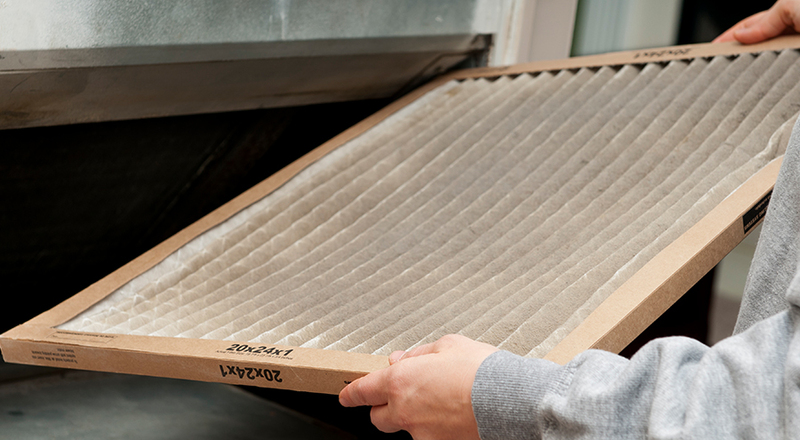 The right air filter can trap dust, bacteria, pollen, mold spores, pollen, pet dander, smoke, and even odors. It improves indoor air quality for everyone and can be significantly important for pet owners and people with asthma or allergies. In addition, a good air filter reduces energy costs and helps to keep your heating and air conditioning system running longer. At Howard Services Air Conditioning, we keep a wide variety of air filter brands and sizes in stock and can even supply custom filters if they are needed. Breathe easy – Howard Services can keep your indoor air quality at its peak. Contact us today to schedule an appointment.